With detailed experience in exterior and interior wayfinding consultation, signage design and fabrication of illuminated signs, Creative Sign Designs is the perfect partner for your hospitality signage needs. 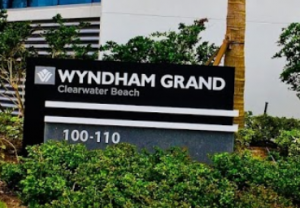 Creative’s capabilities to design, fabricate and install custom signage are ideal for the most custom and cutting edge hotel while preserving consistency for the recognizable industry leader. Trust a leader in hospitality sign design for your next signage project. We invite you to review our hospitality signage case studies for real life examples of what Creative can do for hospitality sign design. 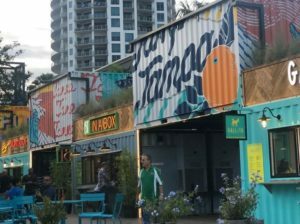 Sparkman Wharf is a new outdoor waterfront destination in the heart of the Water Street Tampa Development. Sparkman Wharf features 10 unique dining options, craft beer, music, waterfront views, and outdoor spaces for lawn games and socializing. In collaboration with the Owner and Architect groups, Creative Sign Designs was contracted to design, build, and install the restaurant signage, site wayfinding, and several custom signage features throughout the Park. There is no better compliment than being rewarded business from Disney. We have completed multiple projects with our mouse friends in Orlando. They require signage for their resorts to have an art-like finish, and Creative Sign Designs wouldn’t want it any other way. 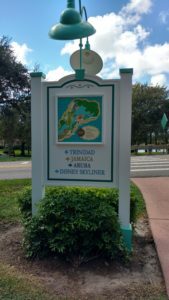 Our scope of work included the Resort Entrance, Interior ADA signage, Marquee signage for dining and merchandise, and directional wayfinding for vehicle, bus, and pedestrian traffic. 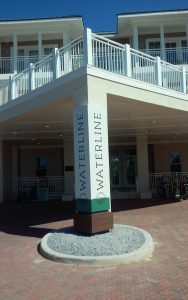 The Waterline Marina Resort & Beach Club is one of Marriot’s Autograph Collection hotel’s that was developed by Mainsail Lodging & Development. Creative Sign Designs collaborated with Mainsail to help develop a one-off signage package that fits not only the theme but the location of this unique hotel. Announcing the entrance of the hotel is a sleek illuminated building sign built to wrap around the pylon of the porte-cochere. The scope of work included exterior illuminated wall signs, interior life safety, wayfinding and amenity signage. Read more about the custom amenity signage details Creative designed. 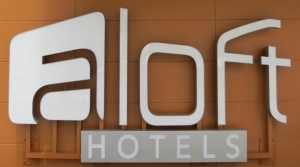 For its spring 2015 opening, Aloft Hotel in Miami Beach needed signage that reflected the modern interiors and features hidden within its historic landmark building. It was vital that the owners achieved a happy medium. In other words, they required signage experts that understood the importance of respecting the traditions of the past as well as the necessity of keeping up with modern times. The Creative team helped this Starwood Hotels & Resort hospitality location carry its branding forward into the contemporary era without losing sight of its origins. Read about the full interior and exterior sign package Creative implemented at Aloft Hotel in Miami Beach, Florida. 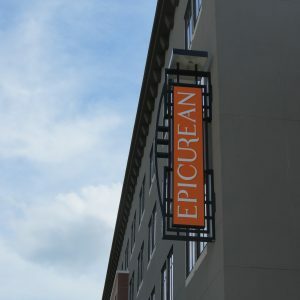 When local boutique hotel The Epicurean needed a custom turnkey sign package, they called on the experts at Creative to complete the job. From a flawlessly executed exterior blade sign complete with welded scrollwork to carved tenant signage and custom way finders that incorporated high-end materials like cork, Creative built a pervasive sense of style that unified the entire space. Our teams created an innovative elevator lettering system with a chic measuring cup theme and guestroom signs that resounded with rich culinary influences. Creative helped the Epicurean Hotel eke out a unique space that clearly set it apart from its SoHo neighbors. In the process, we were able to ensure that the venue would become a staple of the region and outshine its many gastronomy-minded competitors. Creative’s team was tasked with a unique request by Alfond Inn Rollins, a boutique hotel located in Winter Park, Florida. The hotel’s management requested their custom sign package consist of signs that did not resemble traditional signs. The Alfond Inn is a four-star rated hotel with luxurious accommodations and the Creative team knew that the signage must complement its surroundings. The custom interior and exterior sign package Creative’s team developed for the Alfond Inn blended in seamlessly with the existing decor. From decorative filigree border to a custom architectural monument, no detail was overlooked by Creative’s team. 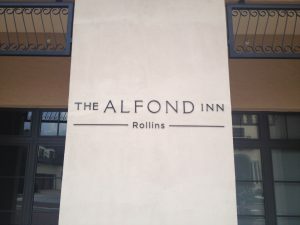 Read more about the custom boutique hotel signage Creative implemented at the Alfond Inn Rollins here. 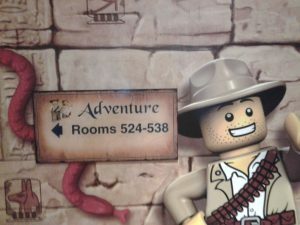 Legoland required a wayfinding Totem system for their newly developing Legoland Beach Resort. The new Beach Resort consisted of over 2 dozen “Cabana-Style” Beach-themed huts, positioned with views toward Lake Dexter. Guests needed to navigate the site on foot, thus requiring a very user-friendly wayfinding solution. Creative Sign Designs is proud to work with these recognizable names in the hospitality industry. Let us know how we can help your business today! 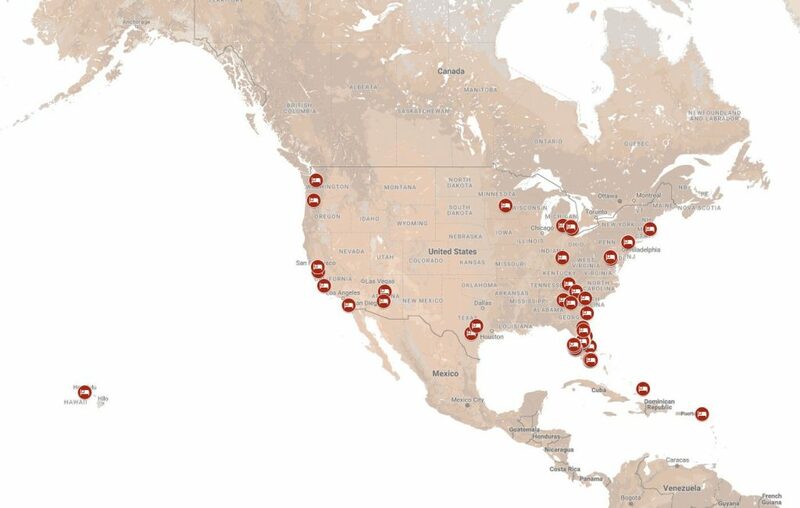 We serve our Hospitality clients from our home in Florida and throughout the country!